Showing results for tags ' year'. what year model is it..? d1outlaw posted a topic in General Talk - Anything Goes! i just bought a used eiger quad runner 400 4x4 for $50. how can i find what year it was made? lovelymommy posted a topic in New Members Area! Hello! I am new here and I need some help from the experts. My 9 year old son was given an adult sized 4 wheeler for Christmas. He has never ride one and has never taken a training course. Of course, I just found out about this but was never consulted about him getting this, either. Anyways, he was able to ride it this morning and has never had any safety training and honestly, I am petrified he is going to get hurt. It will happen, it's just when. I am in the state of Indiana and the law states you must be 14 years old to operate unless there is direct supervision of an 18 year old or other. What exactly does "direct supervision " mean? 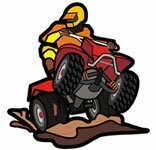 Is rhis within site of the person riding or is it someone that is ON the ATV? Also if there are ANY SUGGESTIONS you guys can give me regarding this it would be helpful. My son is only 9 and a very immature 9 year old at that. I feel he has no business being on this without proper training but apparently that isn't as important to some people. Also, if there is anyone in the state of Indiana on here that can tell me the rules that would be awesome. *in addition* the 4 wheeler is for an adult. My son is only 4 foot 9 and 65 pounda. He's tiny. I am afraid he is certainly nowhere close to having the weight to control this machine. Thanks in advance for any advice given! My 4 year old has been driving his lt50 with his hand on the brake & burnt out them out.....can anyone point me in the right direction to get a shop manual for it or even just advise how to get into the drum to replace the shoes? Cheers!! Kodiak 400 1st year of production??? What was the first year these went into production and sold? tfinley posted a topic in New Members Area! My 13 year ,old sons first project. He wants to build a buggy using a old 4 wheeler. I think this will be great for him. Learning how to read a tape measure, bending tube and welding what more can you ask for. I will post pics in the next couple of weeks. We are still gathering parts and basketball season just started, so he is pretty busy right now. Any thoughts would be helpful. Jake will thank you!! Leerjaks having a New Year's Day ride , 1-1-13 Tuesday 8am till dark. Leerjak Off-Road Ranch - Home Or check it out on Facebook. CK1999_400ex posted a topic in General Talk - Anything Goes! Wishing everyone in the QUADCRAZY community a Happy & Healthy 2012 New Year! 2011 was a great year for QUADCRAZY and it's members. We brought in some new features and contests, along with crossing the 6000 member mark in December! We're looking forward to a great 2012 with all of our members. 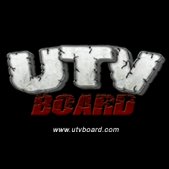 Thanks to everyone who participates on this site, in our contests, and helps QUADCRAZY grow by spreading the word about our ATV community. We're going to launch a new photo contest shortly, to kick off the New Year....stay tuned! All teh best to you and your families in 2012! Happy New Year! what year model & make ? what was your first ride Motorcycle, ATC,ATV, mini bike? mine was a 1968 mini bike from sears. 1998 Yamaha Kodiak 4x4; what year range seat will fit my ? My first post here, hello all!! I just bought a fixer upper 98 kodiak 400 4x4. I need a whole seat assembly and have found a couple on ebay used. In particular a seat off of a 95 Kodiak. Can anyone tell me if this seat will work and if not what year range will work? I'm having problem with my quad it don't wanna idle it's like it's not sucking the gas what could it be the rings or reeds? Happy New Year! May all your dreams come true in 2009!